A video ad on the online drinks retailer 31Dover.com’s website and on Youtube, seen in February 2017, opened on a blurred background and title text The Karma Shotra appeared. 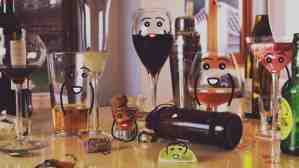 Bar paraphernalia including glasses, bottles and a variety of alcohol products were then shown with doodle drawings such as arms and faces overlaid on them. These characters were shown smiling and touching each other in a sexual manner. Subtitles appeared throughout such as The Cork Screw and The Rim Job , each followed by the characters engaging in sexual activity. Two complainants, who believed the ad strongly linked alcohol to seduction, sexual activity and sexual success, objected that the ad was socially irresponsible and breached the Code. The ASA considered that the video as featured on the advertiser’s own website and on their YouTube channel was an ad which fell within the remit of the CAP Code. The video featured alcohol products and referred throughout to the website URL where products could be purchased and was therefore clearly directly connected with the supply or transfer of goods and services provided by 31Dover.com. We considered that the ad strongly linked alcohol to sexual activity. The ad plainly features sexual innuendo, sexual references and sexual activity in association with the promotion of alcohol products and 31Dover.com. We did not consider that because there was no human and alcohol interaction and there were no specific alcohol products or brands featured that this impression would have been eclipsed. Because the ad linked alcohol with sexual activity, we concluded it was socially irresponsible and breached the code. The ad breached CAP Code (Edition 12) rules 18.1 18.1 Marketing communications must be socially responsible and must contain nothing that is likely to lead people to adopt styles of drinking that are unwise. For example, they should not encourage excessive drinking. Care should be taken not to exploit the young, the immature or those who are mentally or socially vulnerable. and 18.5 18.5 Marketing communications must neither link alcohol with seduction, sexual activity or sexual success nor imply that alcohol can enhance attractiveness. (Alcohol). The ad must not appear again in its current form. We told 31Dover.com to prepare future advertising in a socially responsible way and not to link alcohol to sexual activity in their future marketing communications. Four ads for the mobile phone operator Three and the LG G4 handset: A YouTube video; a banner ad appearing on YouTube; and two pre-roll ads on YouTube. b. A banner ad which appeared on 4 August 2015 at the top of the YouTube home page and was a shorter version of ad (a) featured Jackson and Steve. Text at the beginning of the ad stated Three went into the woods. This is what they found . The ad ended and on the left-hand side, it stated Click to watch (if you dare) and on the right-hand side, it included an embedded video link to ad (a). c. & d. Two pre-roll ads on YouTube for the same product featured brief clips of ad (a) and at the end of each ad, it stated Click to watch if you dare , which was a hyperlink to ad (a). The ASA received three complaints. One complainant, whose 12-year-old child saw either ad (c) or (d) before a YouTube video, and clicked on the link and was taken to ad (a) and subsequently became distressed by it, challenged whether ad (a) was irresponsible and likely to cause fear and distress to children who saw it. One complainant, whose 10-year-old child saw ad (b) and clicked on the link and was taken to ad (a), challenged whether ad (b) had been responsibly targeted because it was accessible to children. One complainant, whose 5-year-old child saw ad (c) before a Minecraft video and became distressed by the ad, challenged whether it had been responsibly targeted because it appeared before a video which was likely to appeal to children. The ASA noted the complainant’s concerns and understood that their child had been distressed by the ad. We also acknowledged the ad included a warning that stated clearly that it was suitable for viewers aged 15 and over and that text underneath the video on the YouTube page highlighted that the content was scary. Although we considered the ad did not show any acts of violence towards Jackson or Steve, it did create and maintain a heightened sense of suspense throughout. We considered Steve was presented as apprehensive and hyper-vigilant during the ad as to what Jackson and he might find in the woods. The suspense climaxed on several occasions during the ad such as when Steve reeled back from the mysterious rusting vehicle in the overgrowth when the doll jumped up at the window; the voodoo style doll dangling from a tree; the shadowy figure crossing in front of them while they were in the tent; and the girl in the bed who leapt towards the camera and then scurried away across the ceiling. We considered Steve’s fear at being in the woods culminated in the final scenes of the ad when he was shown screaming while running through the woods trying to escape. We considered the ad’s content was not excessively shocking for viewers who were 15 years old and above and therefore, it was unlikely to cause distress to them. However, we considered younger viewers were likely to be distressed by some of the scenes, most notably where the girl leapt towards the camera and had blood pouring out of her mouth. The ad included a warning to state that it contained scenes of a disturbing nature and that viewer discretion was advised. Given this, we considered that Three needed to take steps to reduce the likelihood of the ad being served and shown to younger viewers (i.e. under 15s) when they were using YouTube. We understood that the ad had been kept away from YouTube content which was suitable for children and videos with gaming content unless they were relevant to the target audience. However, we understood from Three that the ad was subject to inferred targeting, which meant it would have been served to YouTube users whose viewing history suggested they fitted within the intended demographic: over 18s, even if they were not signed into their account. 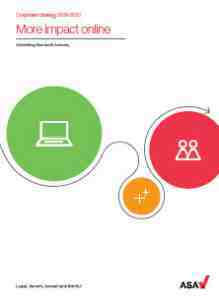 We noted the intended audience and that targeting was based on the viewing histories of YouTube users. Nevertheless, we considered there was the possibility the ad could still be served to children. By featuring the warning in the ad, we considered Three recognised it might cause distress to younger viewers. We considered also that there could, however, be a risk that younger viewers would continue to watch the ad regardless of the warning. Moreover, we considered the ad’s prolonged and heightened sense of suspense was likely to cause undue fear and distress to children. We concluded the combination of the ad’s content, and the possibility that the warning would be ignored, meant that ad (a) was likely to cause distress to those younger viewers who saw it. We acknowledged the steps Three had taken to reduce the likelihood of children seeing the ad and we recognised that it was unlikely that they could take steps to prevent all under 15s from seeing the ad. However, we understood that it would have been possible for Three to limit the targeting of the ad so that it was only served to YouTube users signed into accounts belonging to those who had declared themselves to be over the age of 15. In that respect, we considered applying that additional option would have further reduced the likelihood of children being served and watching the ad. While Three had taken steps to target the ad, we concluded nevertheless that it had not been targeted appropriately. We understood the complainant’s 10-year-old child had become distressed by ad (a), having watched ad (b) and clicking through to ad (a. It was our understanding from Three that ad (b) could not be subjected to any means of targeting and was served to all YouTube users (regardless of whether or not they had signed into their account) on the day it appeared. Therefore, we understood that ad (a), which had been embedded at the end of ad (b), was also available to all YouTube users. While the content of ad (b) included scenes from ad (a), we considered that its content was milder. However, ad (b) included an invitation for viewers to click here – if you dare and an embedded version of ad (a), which played if clicked on. From the information and content presented in ad (b), we considered children were unlikely to understand that ad (a) might be unsuitable for them, given that they had been able to access and watch ad (b). Ad (a)’s warning appeared after the user had clicked on the embedded video and as noted above, we considered that made clear that its contents were not suitable for under-15s. Notwithstanding that, ad (b) was available to all YouTube users, including those who were not signed into their account. In those particular circumstances — where all YouTube users were served ad (b) and could click through to ad (a) — we considered the phrase click here if you dare and the warning which appeared after users clicked through to ad (a) were insufficient to prevent YouTube users under the age of 15 from continuing to watch ad (a). For those reasons, we concluded that ad (b) had not been responsibly targeted and therefore, it breached the Code. One complainant’s child saw ad (c) before a YouTube video featuring the Minecraft character I am Goldenpants . We noted Three’s comments that YouTube did not regard Minecraft to be children’s content and we understood that depending on the edition of the game, PEGI (Pan European Gaming Information) had given it various age ratings from 7 to 12. Although it was our understanding that the game Minecraft did not have an audience that comprised exclusively of children, we also understood that it was, nevertheless, very popular among them. Given that, we considered YouTube videos that featured Minecraft gaming content were likely to be of particular interest to children. We noted ad (a) could be accessed via ad (c) by way of hyperlinked text that stated click to watch if you dare . As stated above in point 2, we considered young children were unlikely to interpret that statement as a warning about ad (a)’s content or properly acknowledge it, given they had been served and had been able to watch ad (c), which featured much milder content. While we recognised Three had identified and restricted content before which ad (c) should not be shown, the ad still appeared before a video that we considered went beyond broad appeal to YouTube users and was highly likely to be of appeal or interest to children. In that context, we considered that ad (c) had not been targeted appropriately and therefore, it was in breach of the Code. 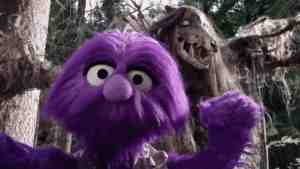 We told Three to ensure that future ads which were unsuitable for viewing by children were appropriately targeted. A poster on both the London Underground and Overground for a live zombie experience ( THE GENERATION OF Z APOCALYPSE ), showed a head of a zombie looking towards the viewer. It had sunken eyes, a pale complexion and blood stained teeth with more blood around its mouth. The ad featured text that stated THE IMMERSIVE LIVE EXPERIENCE … THE BATTLE FOR SURVIVAL HAS BEGUN … . Two complainants objected that the ad was unsuitable for display as a poster in an untargeted medium where children could see it. 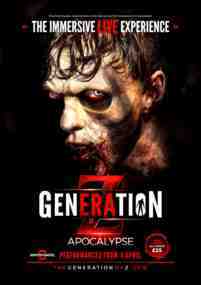 The ASA acknowledged that The Generation of Z considered that the image of the zombie shown in the ad could be viewed as distasteful and following a rebranding of the show, a new advertising campaign was to follow. We understood that at the time the poster appeared the show was targeted at an adult audience. We noted that the poster was highly stylised and designed to promote the horror theme of the show, which featured actors dressed up like zombies and wearing monstrous make-up. While we considered that the sinister image of the zombie would not cause distress to older children and adults, it could distress young children. Therefore, we considered that the poster was unsuitable for display in an untargeted medium where it was likely to be seen by young children. We concluded that the placement of the poster breached the Code. The ad must not appear again in its current form. We told The Generation of Z Ltd that they must ensure that their marketing was responsibly targeted. a. The first ad showed a variety of scenes from the film punctuated with black screens with on-screen text stating the names of the director and cast. The baseline and chorus from the Eminem and Nate Dogg song Till I Collapse played in the background. The scenes included: armed men in balaclavas breaking down a door; Blake Lively blindfolded and being forcibly led by a group of men, Taylor Kitsch saying aggressively to another man you took our girl ; Blake Lively being punched in the face while men in balaclavas looked on; a masked man running with a raised rifle; a car exploding; Taylor Kitsch punching a man in the face; Aaron Taylor-Johnson with his hands behind his head as if at gunpoint; a close-up of a revolver being loaded; a man running towards another and attacking him; and a shot of John Travolta walking with a raised pistol. In the following three disjointed scenes Benicio Del Toro was shown wielding a gun then shooting it at the floor before a man was shown dragging himself on the floor as if screaming in pain. The last scene showed Blake Lively firing a gun before large on-screen text, on a black background stated SAVAGES . The complainant, who had seen the ads before 8pm, challenged whether they were suitable for broadcast at a time when children would be watching. Clearcast said they felt that a post-7.30pm restriction was necessary to avoid children viewing the ads and which would also ensure that they would not be broadcast around programmes watched by young children. They believed that, whilst the ads did show interpersonal and aggressive behaviour shots, they were brief and did not linger. They did not believe that the scenes were graphic or long enough to justify a post-9pm restriction. Both ads featured a number of scenes from the film in quick succession and almost all of the scenes in ad (a) and the majority of the scenes in ad (b) featured physical violence or the suggestion of it. When combined with the strong hip hop song, we considered that the ads conveyed a menacing and aggressive tone. We were particularly concerned that, in one scene, Blake Lively was shown being punched in the face while seemingly unable to defend herself and, in another scene, a man was shown, again defenceless, screaming and dragging himself across the floor apparently having been shot. Although the ads had been given a post-7.30pm restriction by Clearcast, we considered that the general tone of the ads and those scenes in particular were still likely to cause distress to some younger viewers watching after that time. We considered that the ads should have been given a post-9pm timing restriction to keep them away from times when younger children would be watching. Because they had not been we concluded that the ads breached the Code. The ads must not be broadcast again before 9pm. The ASA understood that the ad’s sexual innuendo might be seen as inappropriate for those readers who felt the image bore no resemblance to the product advertised. We considered however that, while it was likely to be deemed as tasteless and crass by some, the image was not explicit and likely to be understood, in the context of a magazine aimed specifically at anglers, as a reference to the products capabilities. We concluded that the ad was unlikely to cause widespread offence or serious offence to readers of Crafty Carper magazine. A poster, for the campaign group PETA, featured a picture of a man’s naked torso; the man appeared to have breasts. Text stated Dude Looks Like a Lady? Lose the Breasts. Go Vegetarian. Issue 1. Two complainants objected that the ad was misleading, because it implied that the appearance of breasts in men was solely down to a poor diet and obesity. They believed that the man featured had gynaecomastia (a condition in which breast tissue is formed in men), which was caused by a hormonal imbalance that could not be resolved by dieting or becoming vegetarian. Issue 2. Two complainants objected that the ad was offensive and insensitive to sufferers of gynaecomastia. The ASA noted the ad featured a pronounced instance of male breast tissue and noted PETAs comment that the individual was obese, not someone suffering from gynaecomastia. We understood that obesity was one of several different conditions that resulted in such development, including also gynaecomastia caused by a hormone imbalance. We noted the ads emphasis on improving diet and considered that readers were likely to understand the ad in the context of the negative impact that obesity could have on the male body, not as a reference to people with gynaecomastia. There was nothing in the ad that implied poor diet and obesity were the sole reason for the appearance of male breasts and we considered that readers were likely to understand that other reasons, including medical conditions, could lead to their appearance. We therefore concluded that the ad was unlikely to mislead. Not upheld We noted the image and the complainants concern over the links to gynaecomastia. However, we considered that readers were likely to understand the ad in the context of the negative impact that poor diet and obesity could have on the male body, not as a reference to people with gynaecomastia. Although we acknowledged that the image might be seen as distasteful to those suffering from gynaecomastia, we concluded that the ad was unlikely to cause serious or widespread offence.